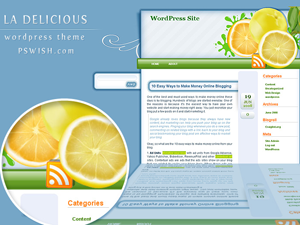 A smart looking wordpress theme with an interesting color scheme of dark green, orange and white color! 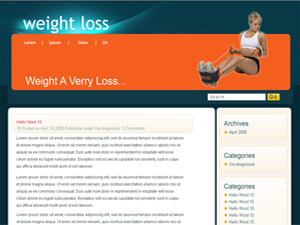 The header is very bright, attractive and striking which focuses on fitness and weight loss regimes. The header has glassy effects along with some design on its theme topic. The navigation bar is included inside the header itself that links you to the other categories of the site. This wordpress theme also features a clean and unique search box. 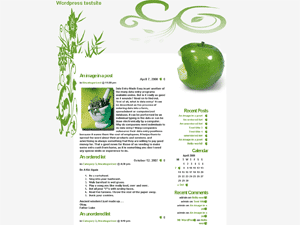 It is a fixed width two columned theme which includes a round edged content area and a distinct sidebar. The content area allows you to display the regularly updated posts on your website while the sidebar has further links that help you view the other pages. 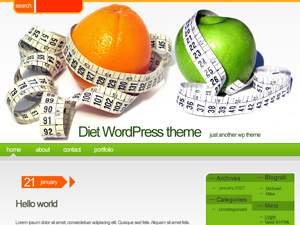 Diet wordpress template is perfect for a weight loss blog or healthy living related site. 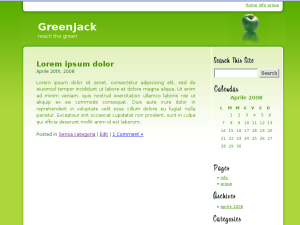 This is a clean white design with two green sidebars located on the right side. Main content area is white with orange post date just above each blog post’s title. 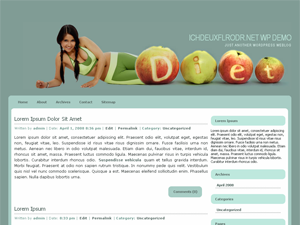 Header graphic features an orange and a green apple covered with measurer hinting at “eat fruit and loose weight”. 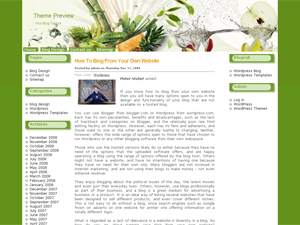 Diet wordpress theme was designed by wptemplates.org and supports WordPress Widgets (you have to enable them in your blogs admin area, under Appearance tab).